Full of excitement throughout this trip from villages, green hills, forest, landscapes and mountains are the main attraction and highlights of this trip, beneath world’s 10th highest Mt. Annapurna at 8,091 m and 7th highest Mt. Dhaulagiri 8,167 m, , trekking around Annapurna and Dhaulagiri massive mountain range, dramatic variation from sub-tropic – Mediterranean, alpine to arctic climate temperature and landscapes, daily amazing panorama views with views of world’s 3highest mountains Annapurna-Dhaulagiri & Manaslu, fascinating traditional mid hills Gurung, Manang & Thakali tribe villages, super mountain panorama with a visit of holy Muktinath area. Nar Phu Trekking is newly opened trekking trail of Nepal. This valley is situated in the lap of Annapurna Himalayan range at alpine variation. The visitor finds a true wilderness adventure to explore unspoiled villages and valley. 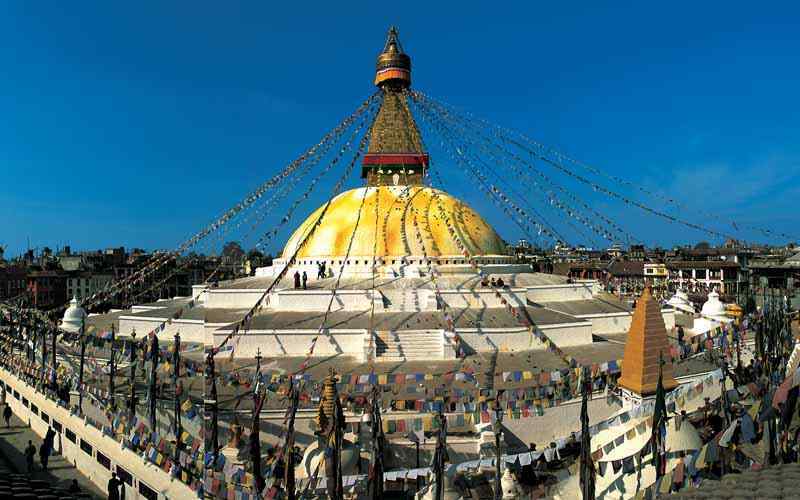 This beautiful travel destination is highly recommended by Lonely Planet, describing as scenic trails to trek in Nepal. The magnificent view of Himalaya, old Buddhist culture, local traditional and living in rural life is some of the bliss for visitor. Nar Phu Trekking starts after scenic drive through the river valley and hilly region to Chamche. 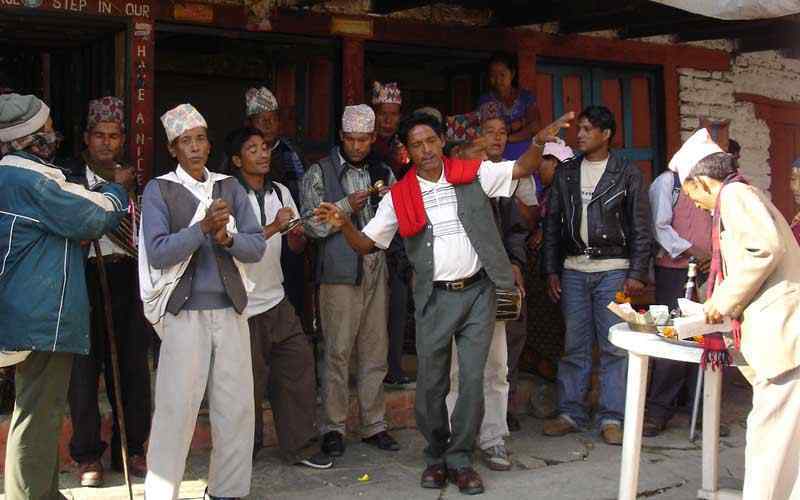 This marvelous journey goes through mid hills villages inhabited by Gurung and Magar tribes. We follow the marshyangdi river valley and same trail to Annapurna Circuit trekking for few days. As we hike closer to mountains of alpine vegetation get to Koto. We leave the trail of Annapurna circuit trekking from here and hike into less visited area of Nar and Phu villages’ trail. Nar and Phu villagers are far from modern civilization. 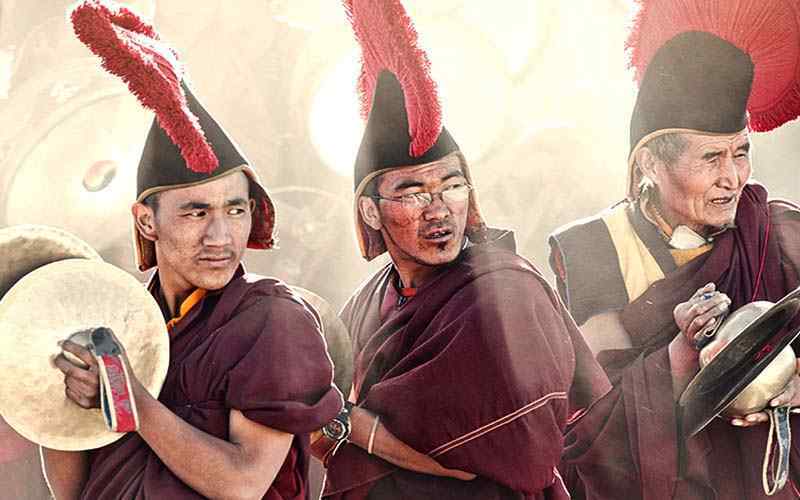 The villagers have strong influence of Tibetan culture tradition and life style. Exploring the historical monasteries with ancient artifacts is giving a great sense of rich cultural bio-graphic of these villages. This has made the trip so special and unique. After passing these villages, we gets into barren arctic terrain to reach Kang-la pass at 5,306 m-17,408 ft. We have tremendous views of Himalaya including Annapurna I (8,09 1 m-26,545 ft), Gangapurna (7,455 m-24,458 ft), Annapurna III (7,555 m-24,78 7 ft) Lamjung Himal (6,931 m-22,740 ft), Mt. Manaslu (8,163 m-26,781 ft), Pisang peak (6,091 m-19,983 ft), Chulu East (6,584 m-21,601 ft), Chulu West (6,419 m-21,060 ft) from here. Descends after the pass, brings into beautiful village Manang and explore the Buddhist monasteries and lakes. 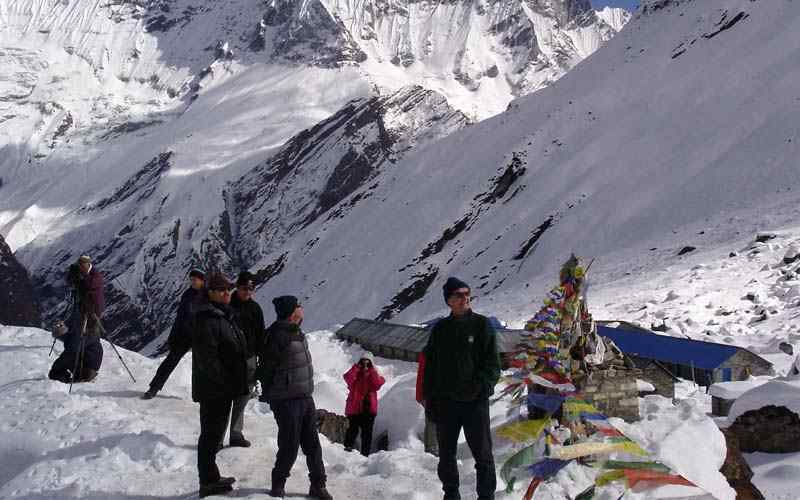 Nar Phu Trekking won’t be complete without going over the highest pass Thorang-la 5,416 m-17,700 ft. 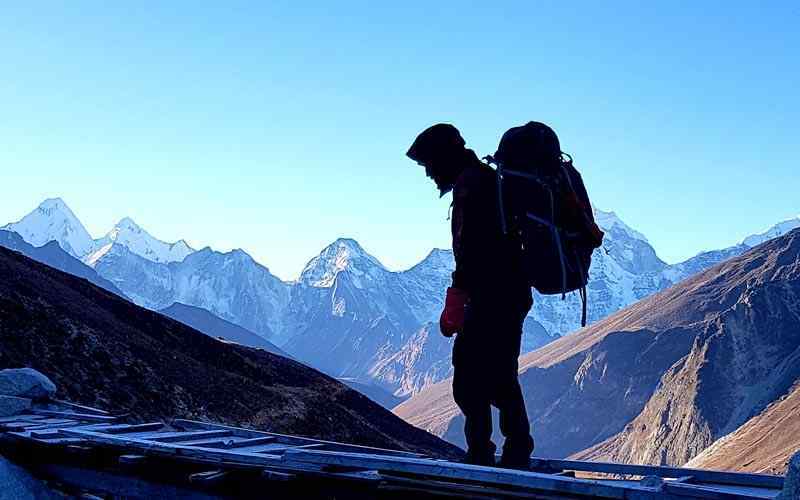 The spectacular views of Kaligandaki river valley together with massive Dhaulagiri (8,167 m-26,795 ft), Nilgiri’s, Tukuche peaks, Damador and Bhirkuti mountains makes amaze to visitors. 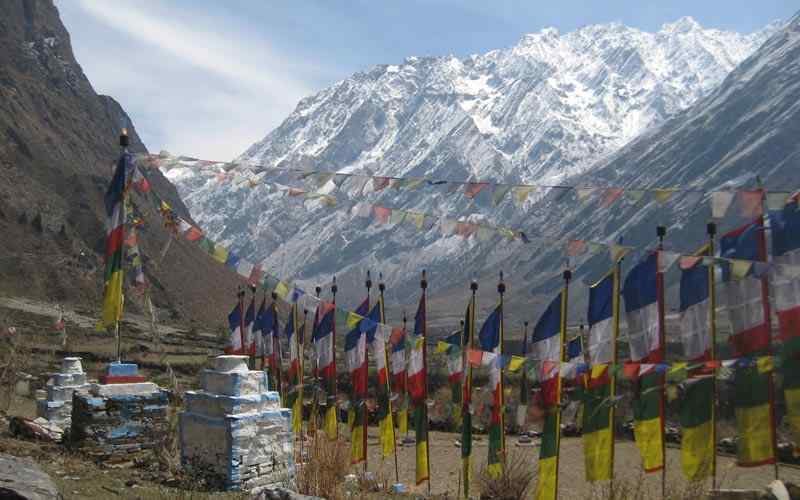 Following the valley brings to Muktinath which is a famous pilgrimage place for Hindus and Buddhist. Mukti means Liberation so the pilgrimage visits here to seek liberation from the sin of their life time and take bath into108 spout flowing pure natural spring water. Hiking continues through the dry windy kaligandaki river valley to reach Jomsom. The was a junction for Trans Himalayan Salt Trading Route in the past. 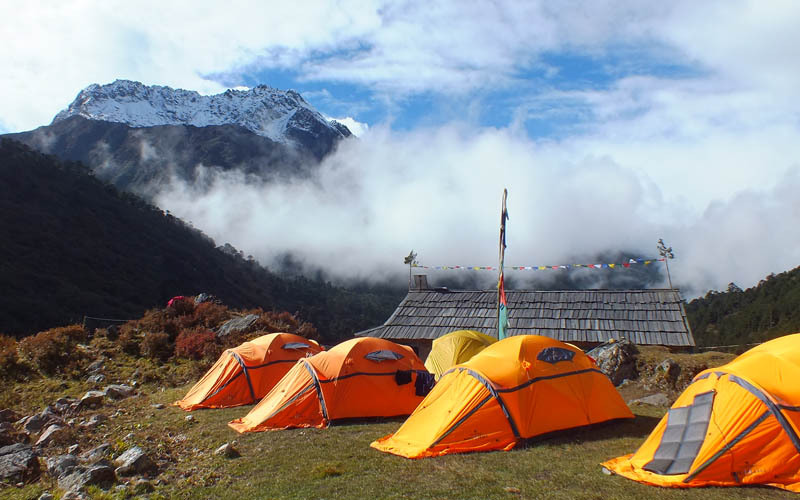 Nar Phu Trekking is culturally rich trekking destination to experience. 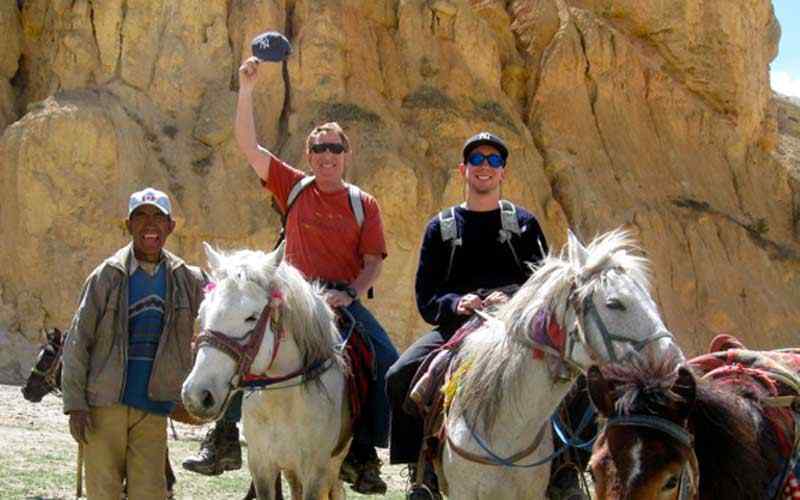 Trexmount Ventures has set the itinerary to experience differences. The glorious flight in between Dhaulagiri and Annapurna Himalayan range to Pokhara makes bliss. Pokhara is a marvel cool place for refreshment after two weeks in the mountains. Enjoy the boat ride at serene Fewa Lake and boat ride in the lake before drive or fly back to Kathmandu. Day 03: Drive to Chamje (1430 m-4,692 ft) via Beshishar (823 m-2,700 ft), (1,560 m-5,118 ft) - 08 hrs journeys. 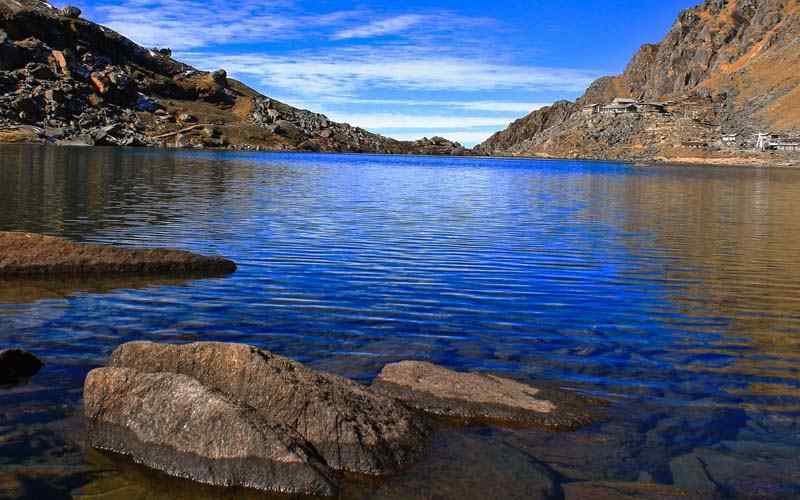 Day 04: Trek to Dharapani (1,920 m-6,299 ft),(1,560 m-5,118 ft )- 05 hours. Day 05: Trek to Koto (2,600 m-8,530 ft),(1,560 m-5,118 ft) - 05 hours. Day 06: Trek to Meta (3,560 m-11,680 ft),(1,560 m-5,118 ft) - 06 hrs. 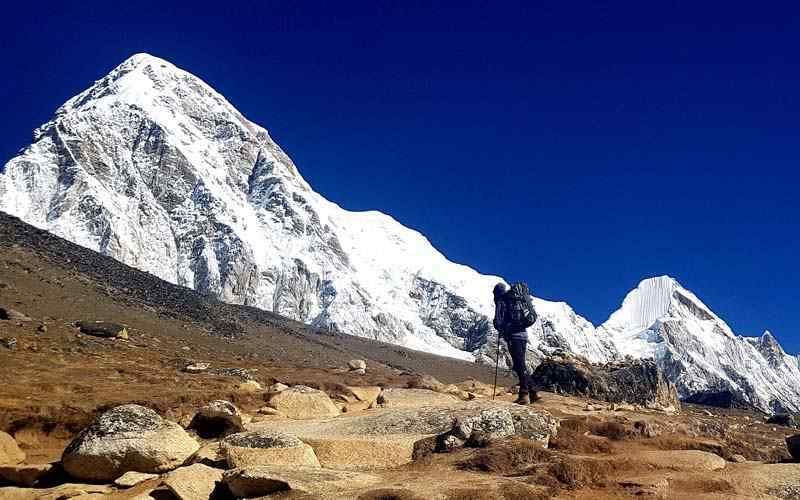 Day 07: Trek to Kyang (4,100 m-13,451 ft) - 06 hrs. Day 08: Trek to Phu (4,580 m-15,026 ft) - 05 hrs. Day 09: At Phu visit Samdu Choling and Tashi Monastery. Day 10: Trek from Phu to Lower Cheyako (3,450 m-11,319 ft)- 05 hrs. Day 11: Trek to Naar (4,110 m-13,484 ft) - 05 hrs. Day 12: Trek to Kangla Phedi (43,50 m-14,271 ft) - 04 hrs. Day 13: Trek to Kangla Pass (5, 306 m-17,408 ft) and to Ngawal (3,660 m-12,008 ft) - 07 hrs. Day 14: Trek to Manang Village (3,450 m-11,319 ft) - 05 hrs. Day 15: Trek to Yak Kharka (4,110 m-13,484 ft) - 04 hours. Day 16: Trek to Thorong High Camp (4,600 m-15,092 ft) - 04 hrs. Day 17: Trek to Jomsom (2,715 m-8,907 ft) - 04 hrs. Day 18: Fly to Pokhara (860 m-2,822 ft) with afternoon free at leisure. Day 19: Drive back to Kathmandu and transfer to hotels. 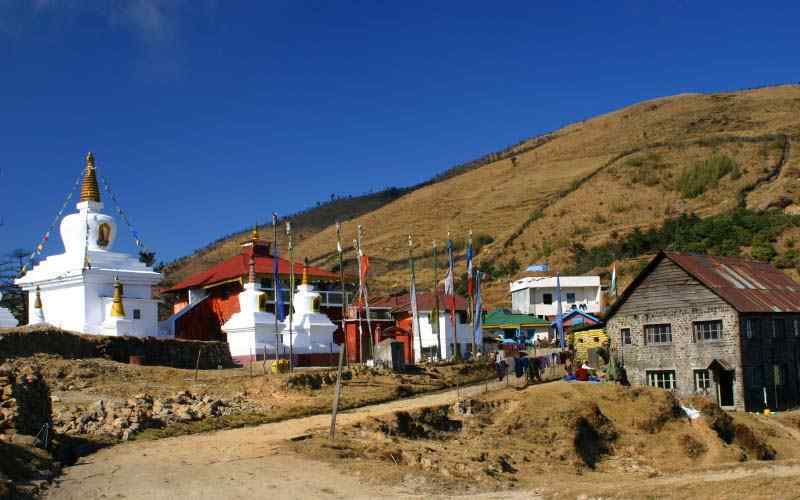 As time set by our guide who accompanies you throughout this trip, depart from the hotel for an interesting drive on the busy road towards Chamje via Beshishar. Drive through Himalayan foothills and green valleys to Dumre town. Leave the main Kathmandu / Pokhara highway and drive towards Beshishar, a large town and headquarter of Lamjung district. Drive on the newly built dirt road leading to Chamje via Khudi, Bhulbhule and Ngadi following the Marsyangdi River upstream. The drive continues passing rice terraces and villages and then meanders uphill to Chamje for overnight stop via Jagat village. Chamje is a small farm village with many lodges and the people from here are Manang of Tibetan origin. After a first night in local lodge with homely hospitality service, morning starts by walking back to the Marsyangdi River. Cross the river and enter into the alpine woodlands. Take-in super views of Annapurna, Lamjung and in the background, the Manaslu mountain range. Walk on the wide trail to a nice village of Tal Besi. After a break a few hours walk to Dharapani village for overnight halt. 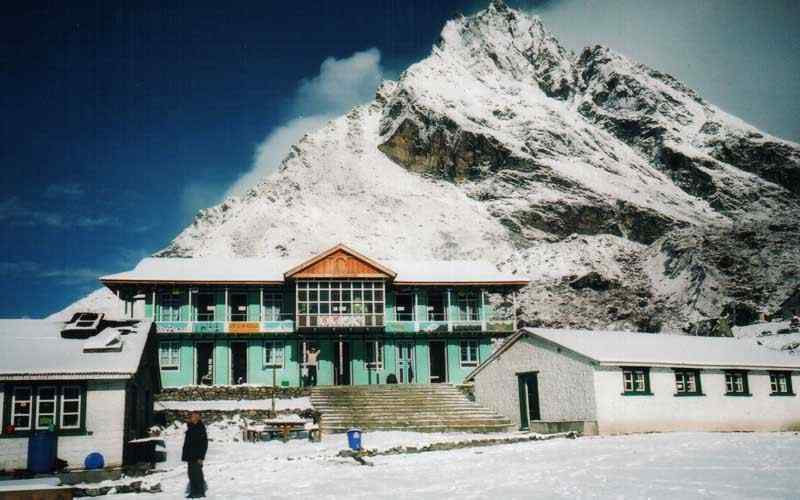 Dharapani is located the mid-way between Manaslu and Annapurna circuit treks. From Dharapani on wards the temperature gets cooler with alpine temperature. Walk through the winding wide trail through serene rhododendron, pine woodland and through small villages of Bagachap, Danque. 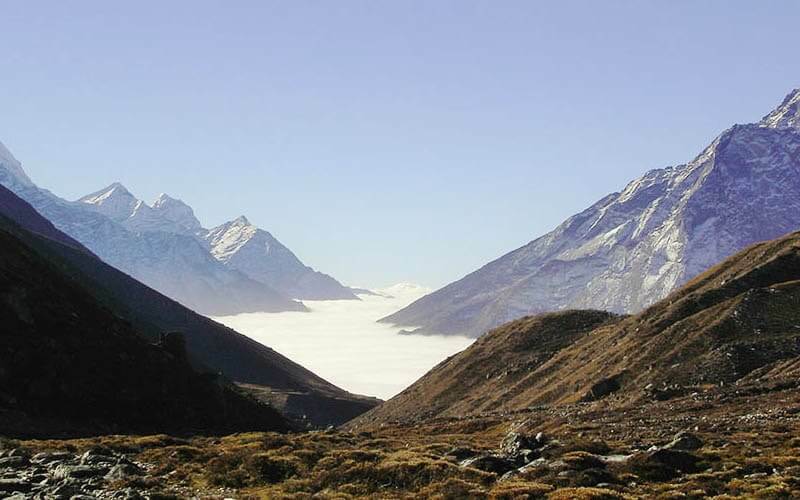 Climb higher to Timang village with super views of snow capped peaks towards North. From this village on-wards be in the land of Buddhist tradition and culture. After an hour or so, reach Koto near Chame a large town and the district headquarter of Manang area. At Koto have ample time for a short walk to Chame the last big town before Jomsom. A different feeling from here onward occurs in that we are in the least trekked area. We are away from the main trail. 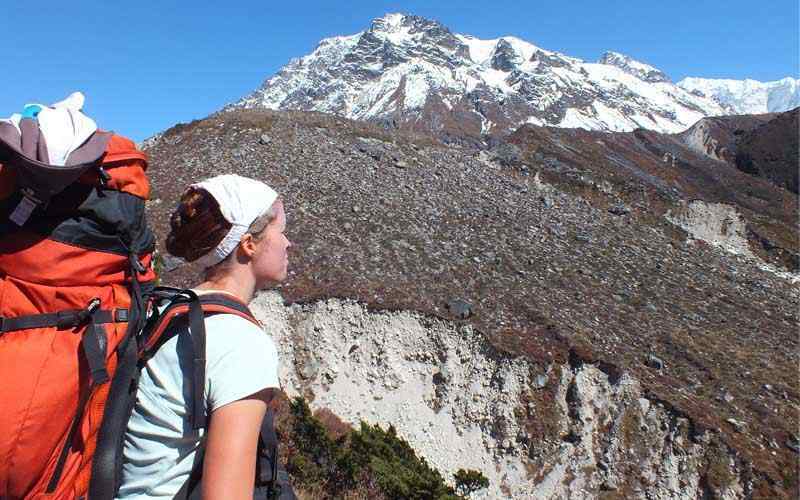 Walk north to the remote places entering a gorge between Pisang Peak and Kang-Guru Himal. The path leads to Nar-Phu khola upstream, passing several spread out farm huts and sheds all the way to Meta or Methang for overnight stop. From here, feeling great with fresh, clean mountain air being in this isolated area, walk north to Phu area in pure wilderness. There is a great chance of seeing Blue Sheep, Snow Leopard and other mountain wild life. Walk past number of Sheppard’s areas while following the Phu khola (stream) upstream to Kyang for overnight stop after a scenic good walk. Morning trek reaches our destination at Phu following the Phu khola upstream. The walk leads to an exposed open area as the valley opens. After a good walk through grazing and pasture lands, reach Phu, our overnight stop and highlights of this trip. 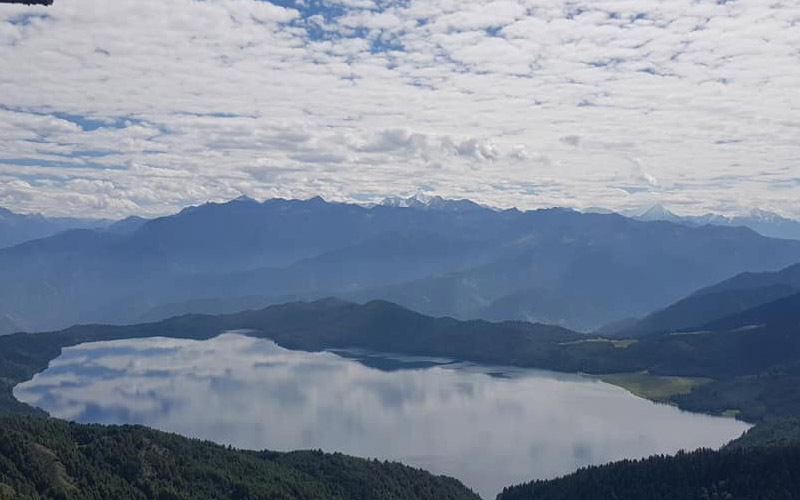 Phy is a great and ideal place for rest day to properly acclimatize and to explore a medieval types village which is of strong Tibetan influence in the daily life, culture and Buddhist religion. 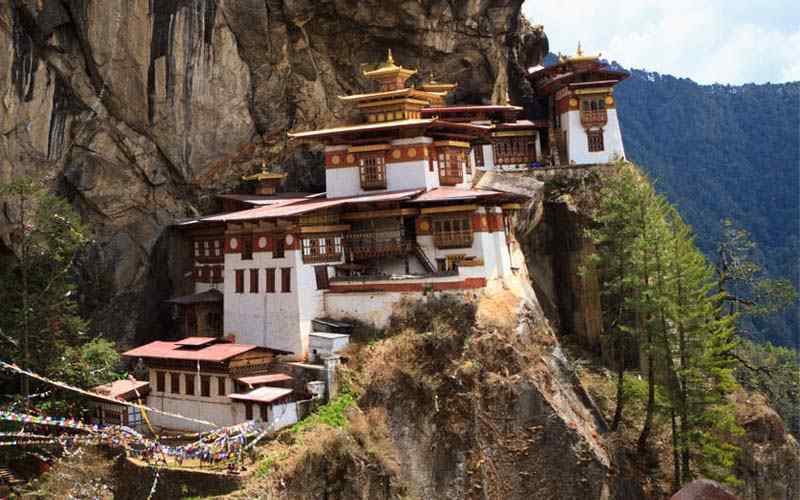 Take an optional short hike around this amazing little Shangri-la. Visit the monasteries of Tashilkhang and Samducholing full of ancient artifacts and statues and maybe even visit the Kyauchyu water fall. 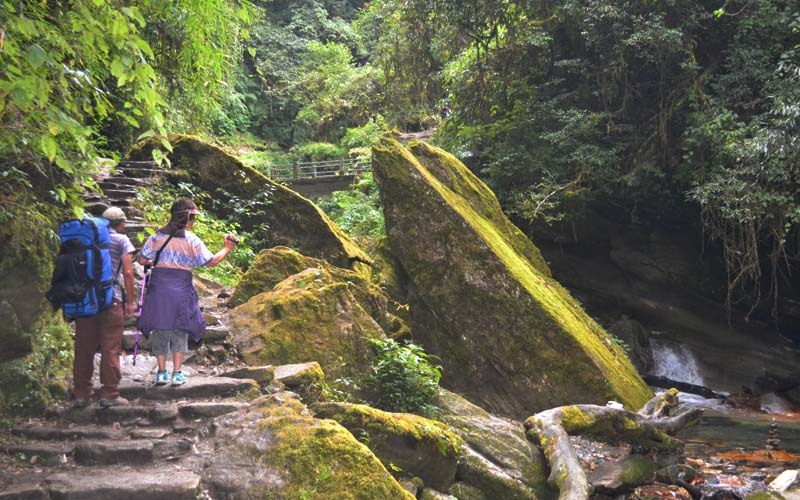 After a memorable experience at Phu, walk on the same route to retrace the journey for few hours to lower Cheyako through Kyang and upper Chyyako following the Phu khola downstream to reach at Cheyako a small village on route Phu and Naar. Walk back on the same trail for some time to a bridge called Mahindra Pul (bridge) close to Naar Phedi. From here trek for few hours towards a hidden Himalayan Shangrila village at Naar, the highest village around Manang area. Walk past Yughat and its line of mani walls and chortens, Buddhist prayer shrines. 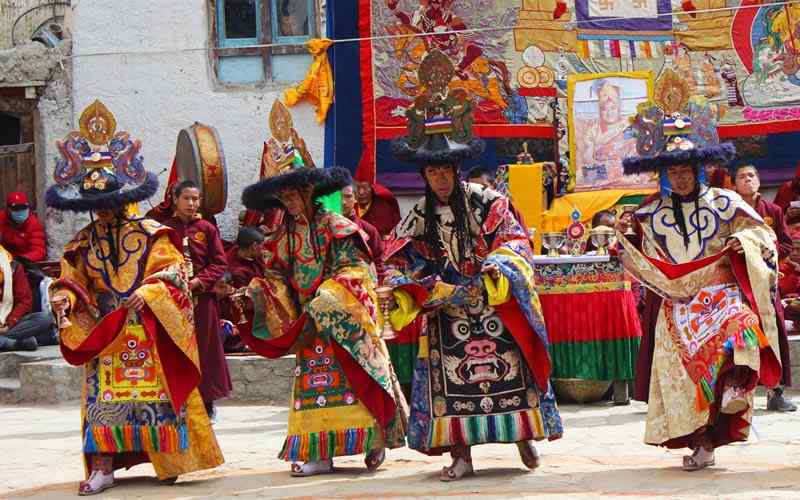 This experience is another highlight of this amazing adventure along with being in the high village of Naar and Phu both villages with age old culture and traditions similar to the Tibetan way of life. From Naar with interesting time, our journey continues to leave the last of Naar and Phu area heading towards a high pass of Kangla to reach our return trek to Jomsom from Manang on wards. Walk past a small hydro project, and finally reach the last villages of this high Manang valley: Naar and Phu at Kang-la Phedi (bottom of the pass) for an overnight stop and lunch and with a free afternoon to explore this wild area. Start earlier than usual to reach the top of the pass to catch ever present views of high snow capped peaks. Walk with a slow pace due to altitude. Cross a few small icy streams to reach a steep notch and then climb an hour to the top of Kang-la pass at 5,306 m–17,408 ft the highest point so far of this trip. Here find grand views of a snow capped peak range with a small glacial pond near the big rock wall by the west side. Reach a seep moraine path at the bottom. The walk gets easier on the wide grass land all the way to Ngawal village for overnight stop after a scenic and vigorous day. In the morning take in wonderful views of snow capped peaks with a close look of A II North Face. Head towards a hill through nice pine woodland where one can catch awesome views of Manang lower valley with surrounding high snow capped mountains. Head downhill towards Manang valley. Reach Hongde village with a small airstrip, (flight to and from Pokhara is only twice a week and unpredictable). From here on wards tree line disappears into arid and barren landscapes with cold, dry climate temperature. However, the area gets enough sunshine during the day with strong UV in this thin air altitude. From here with constant views of snow capped peaks reach Braga close to Manang village. Here it will be interesting to visit the old Braga monastery treasures old Buddhist artifacts, relics and stature with ancient amazing wall Thanka painting (Buddhist religious painting) and frescoes. 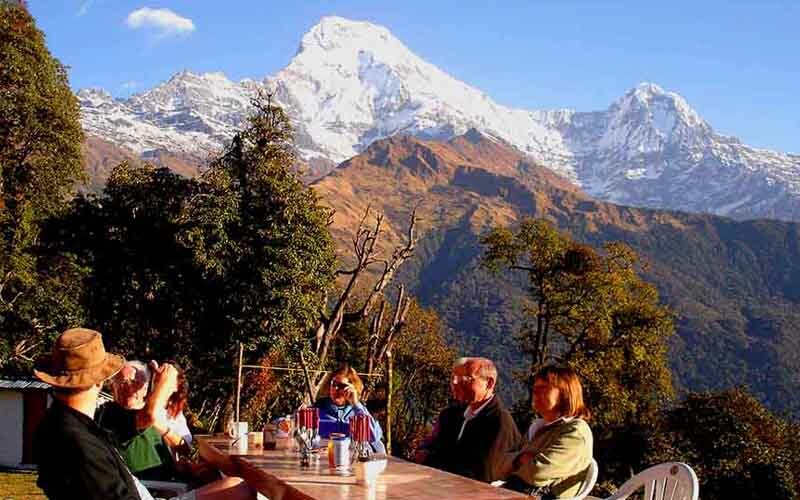 Take in breathtaking views of Annapurna range with Chulus and as far to Manaslu towards east. Take a slow and steady walk to Manang village for lunch and overnight stop with alluring views of Gangapurna, A II and Tilicho peak and turquoise Manang lake nearby. From Pisang and at Manang houses are built in traditional Tibetan style as people of Manang practice rich Buddhism religion, culture and traditions. After a nice break and stop for two nights at Manang, the walks is easier on a gradual path past the last village of Manang at Tenke. 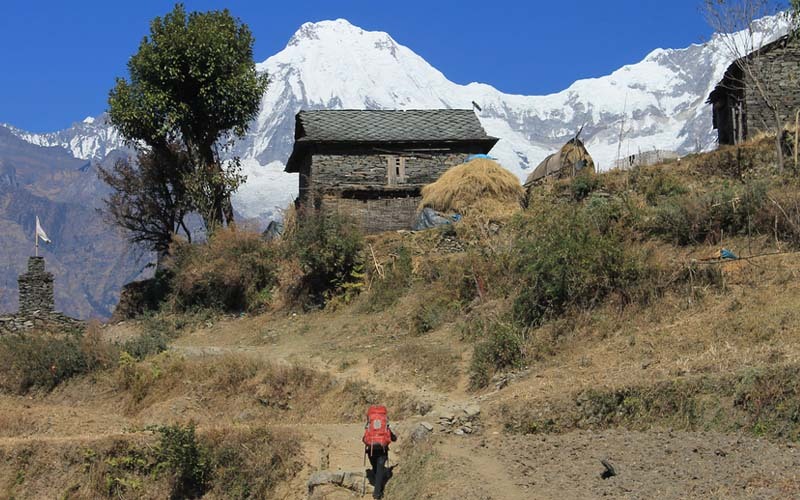 In complete wilderness with take a gentle uphill walk to Ghunsang village with great views of Gangapurna, Tilicho and Chulu West peaks. Slowly reach Yak Kharka for lunch and overnight stop with great views. Our slow and steady journey gets closer to the main highlight and highest elevation of this trip at Thorang-la pass. The walk is pleasant except for the altitude. The trail crosses a bridge after Ledar and then after a short steep climb after the river reach Jarjung. 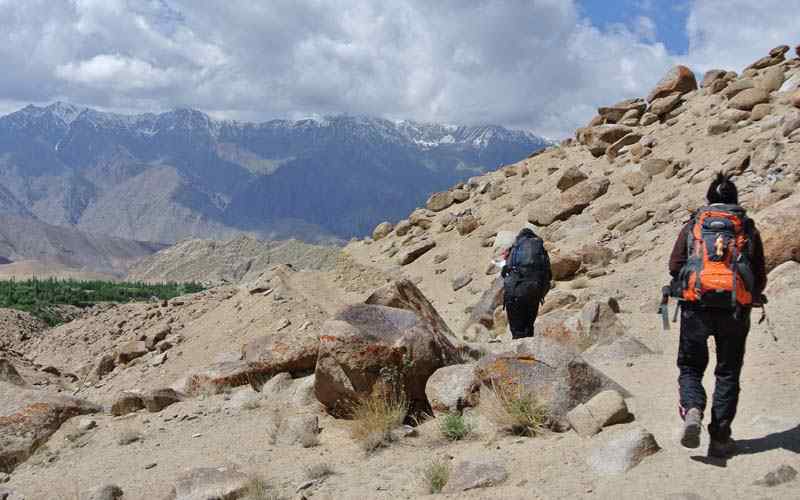 Around this place you will have a chance to seeing some wildlife like Musk Deer, Himalayan Thar, Mountain Goats or the rare and elusive Snow Leopard if lucky. Walk then reaches Thorang Phedi (base of Thorang-la). After a break here walk on a zig zag slope path which is quite steep for an hour till High Camp is reached for lunch and overnight stop. Trek to Jomsom (2,715 m-8,907 ft) – 04 hrs. Fly to Pokhara (860 m-2,822 ft) with afternoon free at leisure. Drive back to Kathmandu and transfer to hotels. 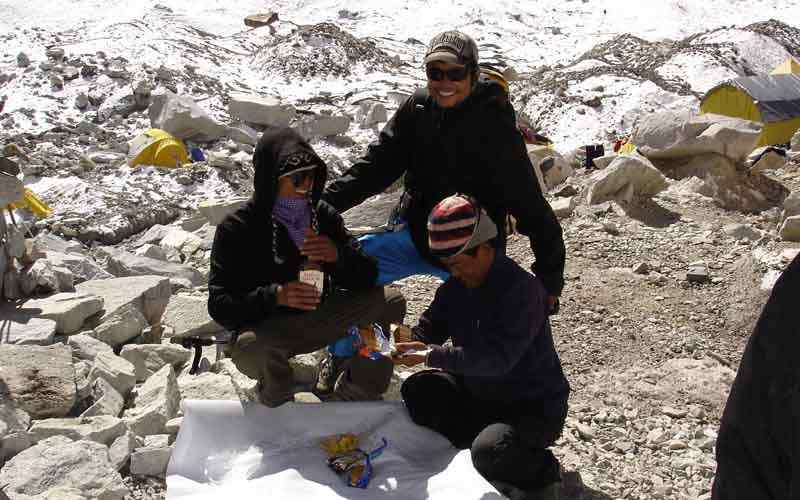 All Meals during the trekking section.